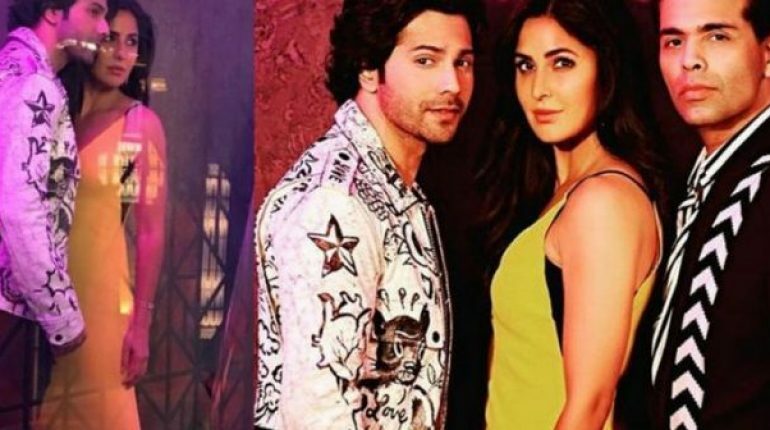 Koffee with Karan season 6: Varun to appear with Katrina on Karan Johar show, Bollywood actors Varun Dhawan and Katrina Kaif are all set to appear together on the upcoming season of ‘Koffee with Karan’, which is all set to premiere on October 21. 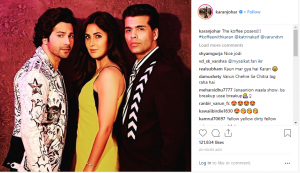 Karan Johar has been actively sharing various videos and pictures from the sets of the show. 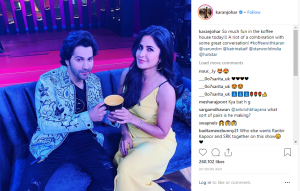 He recently took to his official Instagram account to tease the audience with a picture of Varun and Katrina sitting on the controversial couch and posing with ‘Koffee’ cups. Varun looks dapper in a black smiley t-shirt paired with ripped jeans, and a monochrome printed jacket. On the other hand, Katrina looks stunning in an elegant sleeveless lemon yellow gown which she has accessorised with hoop earrings, keeping her hair open in soft wavy curls. Varun and Katrina will be starring in their first film together, and it will be a dance film. The flick will be directed by Remo D’Souza, who earlier directed Varun in ‘ABCD 2’. 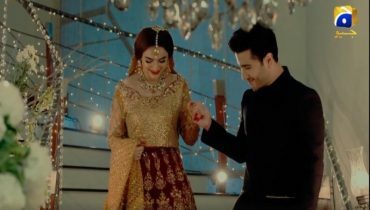 The film is expected to go on the floors this year and will release on November 8, 2019. 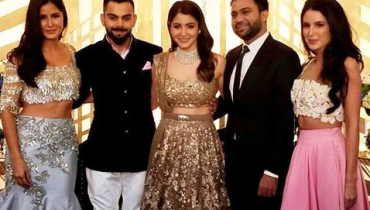 In the previous season of ‘Koffee with Karan’, Katrina appeared on the show with Anushka Sharma while Varun appeared with Alia Bhatt. 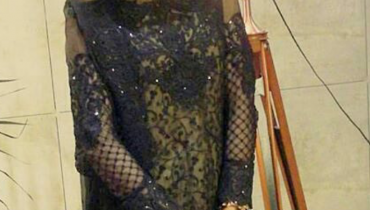 The first trailer of the show has already been released and it features Deepika Padukone and Alia Bhatt. 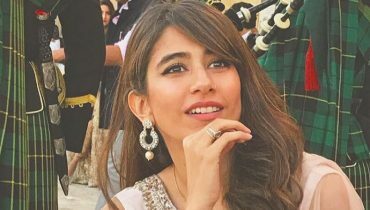 The two will be sharing the couch for the first time and were seen discussing Ranbir Kapoor and talking about weddings in the promo of the season opener. 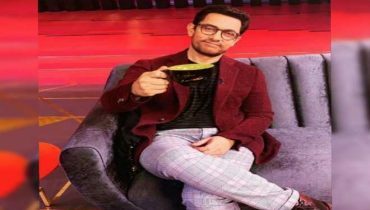 Apart from the girl power, father-daughter duo Sara Ali Khan and Saif Ali Khan, siblings Janhvi Kapoor and Arjun Kapoor, and dynamic duo Ranveer Singh and Akshay Kumar, and Aamir Khan will also make appearance on the other episodes of the show.